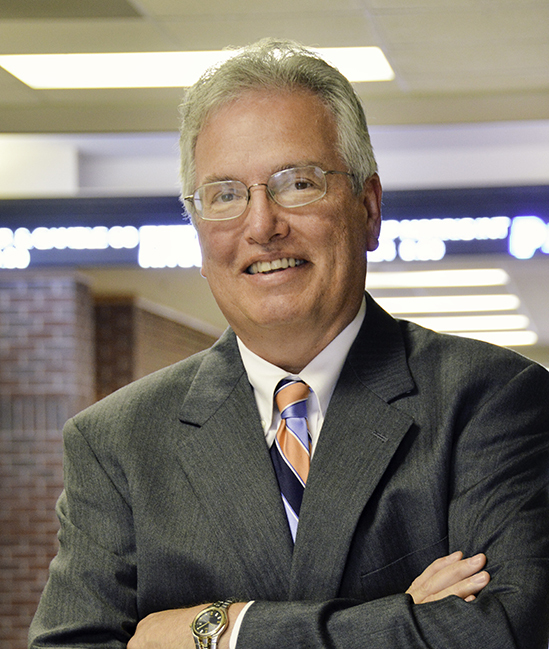 Dr. Kevin O’Mara serves as the Dean of the School of Business at Campbell University. Dean O’Mara earned a Ph.D. in Technology Management from North Carolina State University, an MBA with a concentration in accounting from the University of Houston, and bachelor degrees in Engineering and Business from the University of Texas at Austin. He completed additional graduate work in strategic management from the University of North Carolina at Chapel Hill. He is also a Certified Management Accountant (CMA). O’Mara comes to the Business School from Elon University’s Martha and Spencer Love School of Business, where he served as Executive Director of the Doherty Center for Entrepreneurial Leadership and as a Professor of Management. Before entering academia, O’Mara worked for a major petroleum explorer in Houston, Texas, as a strategic planning analyst, operations analyst and engineering economic analyst. In addition, to his duties as Dean, O’Mara is past president of the Academy of Business Education and currently serves on its Board of Directors. He also serves on the N.C. Small Business & Technology Development Center’s statewide Board of Advisors and is chair of the SBTDC Central Carolina Regional Board. He currently serves on the Alamance County Chamber of Commerce Economic Development Committee and served on the Board of Directors for two charter schools.